Hey everyone. I’ve managed to get some hours of work in the two weeks – from my parents. Both jobs involve sitting for long hours in front of the computer, which does not bode well for my thesis, let alone my blog. So I do have quite a few pictures lying around, waiting to be hussied up and stuck on this page, but they are going to have to wait until I have enough patience to sit out and think how best to entertain the almost twenty people I have somehow duped into following me. In the meantime, I’d like to share an interesting pairing of two recipes I’ve covered in the past. All thanks to my new favorite Mexican restaurant, Poquitos. 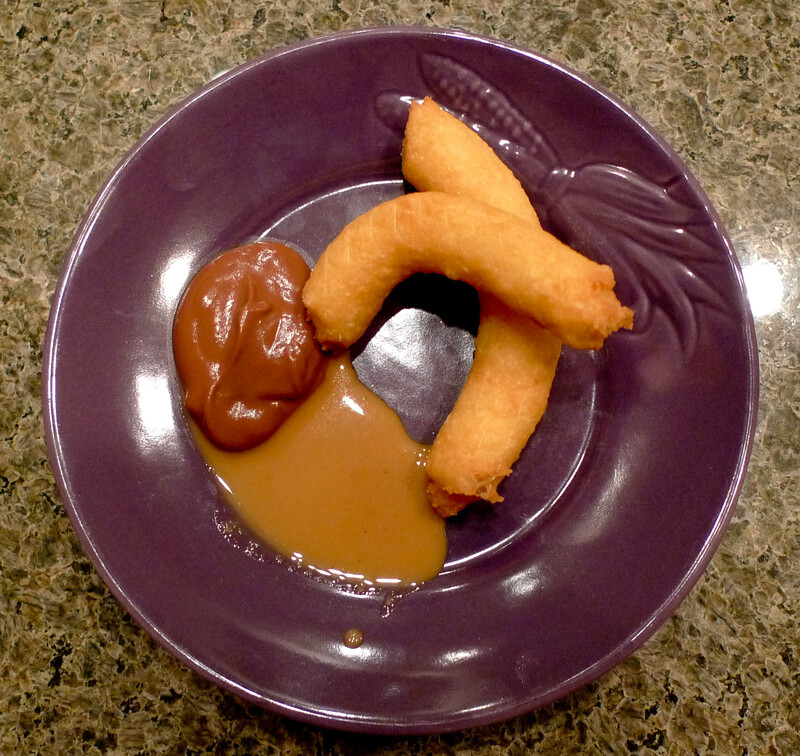 Churros Redux – Gluten Free! Shortest post ever: gluten free churros are awesome. Take your normal churro recipe, substitute in your favorite gluten free flour mix with 1/2 tsp of xanthan gum and BAM! 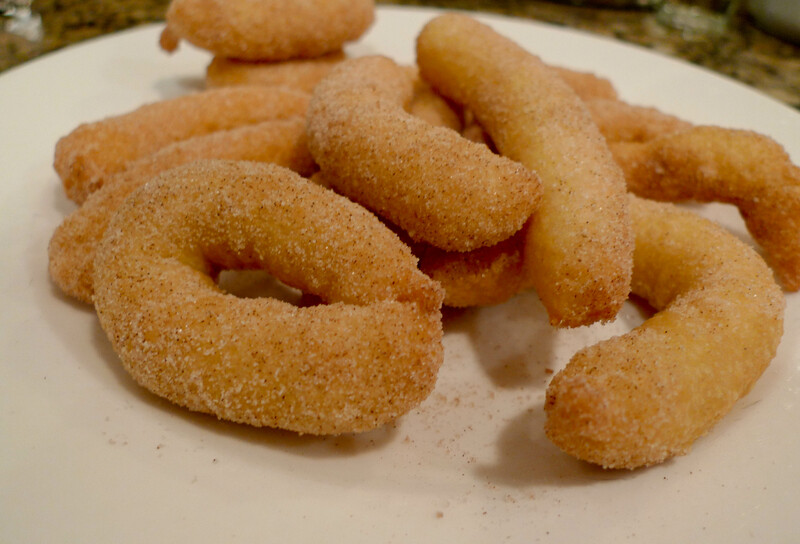 Gluten free churros. They taste almost exactly the same. The only thing to watch out for is that the dough is super sticky due to that magic xanthan glueyness we talked about before. I love churros. I grew up with Costco churros, the giant sticks as long as a child’s arm covered in cinnamon sugar, hanging out with the over-sized soft pretzels. They are a mass market interpretation of a Mexican churro, and the image that most Americans carry around in their heads when thinking about churros. 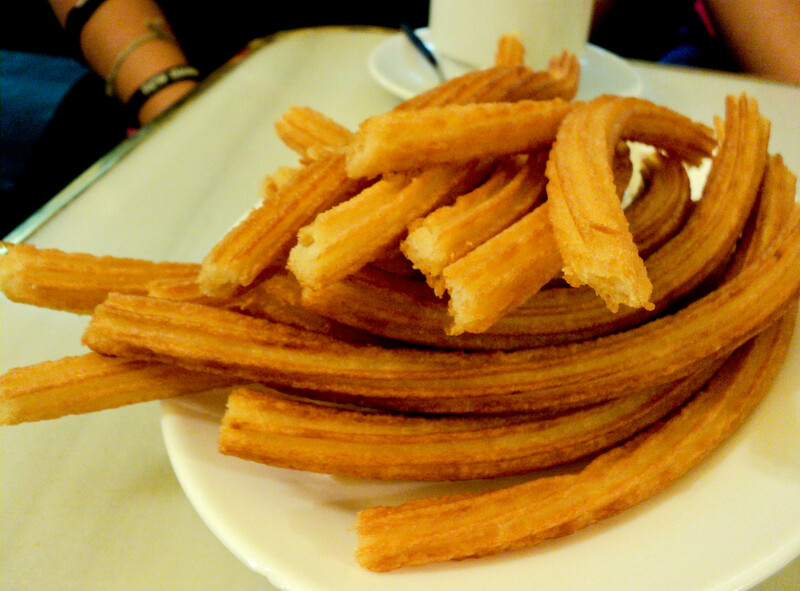 But now that I am a part time expat in Spain, I am learning that there are many types of churro out there, and they are just waiting to show me their particular tasty subtleties. For those of you who don’t know exactly what a churro is, though you may be few in our globalized world, it’s a tube of fried dough – somewhat like a doughnut, somewhat like choux pastry. What decorations or fillings or dipping substances then come next varies with mood and geography.